Monitoring is provided for Linux servers through the telegraf agent. Telegraf is an actively developed, feature rich, mature and lightweight monitoring agent, written in Go for performance and portability. It is also open source, which means that no proprietary blobs will be installed on your servers. There are two ways to enable monitoring in MIst.io. The easiest way is to provide SSH access to your server. If SSH access is not possible or desirable, you can choose to manually install the monitoring agent. Mist.io needs to connect to your servers using SSH in order to set up monitoring and enable the web shell. Head over to the keys section and click on the Add button to set up your key-pairs. 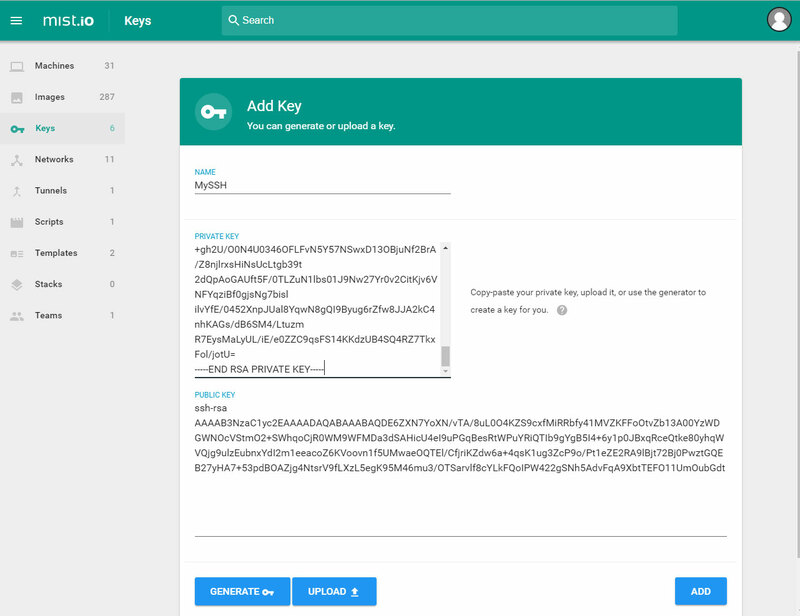 If you already have a private SSH key that you use to connect to the server, you can import it in Mist.io by pasting your private key on the text dialog or by uploading the key file. Otherwise, you can generate a new SSH key through Mist.io and copy the public key to your server. Once you have a key-pair set up, Mist.io can deploy it automatically on any new servers created through the service. Once your server is connectable by Mist.io, you’ll see a blue bar appearing next to it on your machine list, indicating your server’s load. Click on the machine to go to the detailed view and then on the Enable button in the Monitoring section. 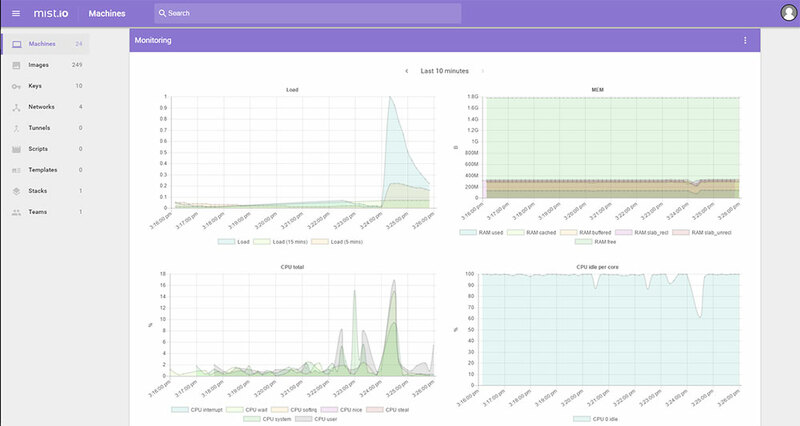 Mist.io will then install the collectd open source agent and you'll start seeing the monitoring graphs once it is done. For example, if you have a process that’s leaking memory, you can set up Mist.io to restart that process once your memory usage exceeds 95%.